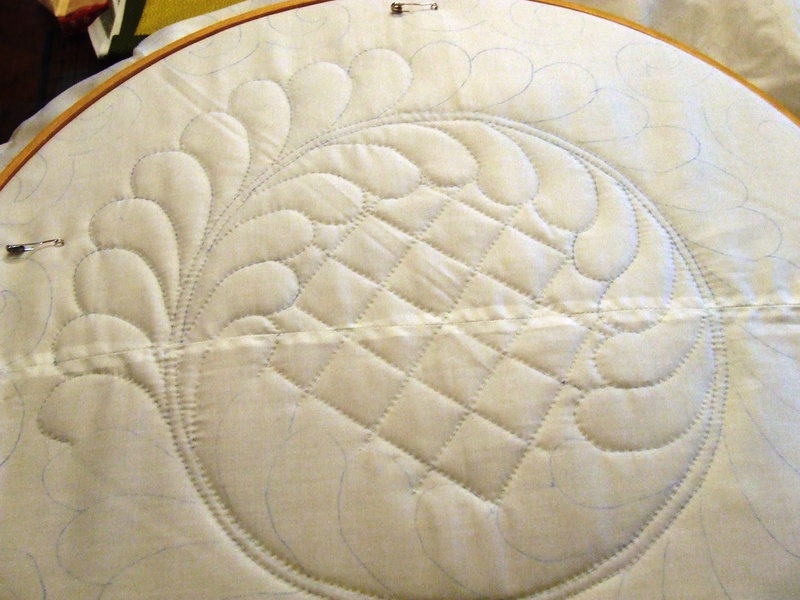 I started the quilting on the fruit basket quilt. 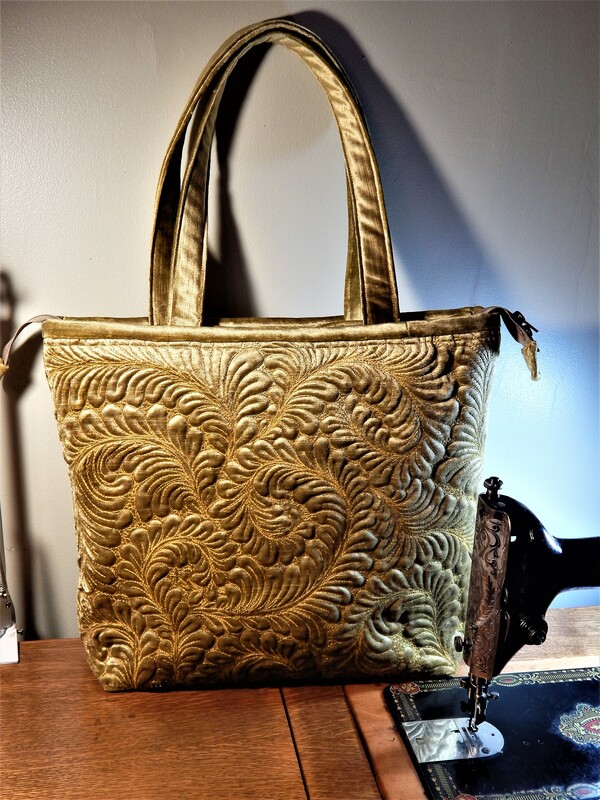 I used unbleached muslin for the backing fabric and Hobb’s Tuscany Wool batting. Each basket block has 37 pieces so there are a lot of seams to quilt through! 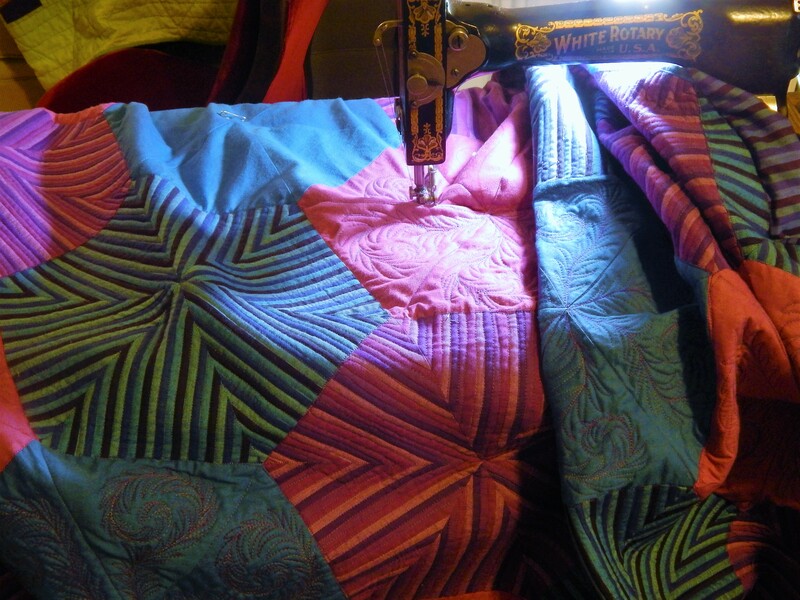 It is harder to quilt through seams because of the additional layers of fabric. It is easier for me to sew through all those seams with a larger needle. I am using a #9 between needle and thick thread and larger stitches. The wool batting is providing a nice loft and the fan design shows up very well. Lots of quilting to go , but so far I like it! This entry was posted in Quilts and tagged baptist fan quilting, fruilt basket block, hand quilting, Quilting, Quilts. That’s one advantage men have for sure — strong fingers to go through seams. It is really going to be a beauty Tim! That will be an incredible quilt! can’t wait to see the finale! Hi Tim, Spring greetings from a very sunny Switzerland. I am just researching baptist fans and came across your post from last year. 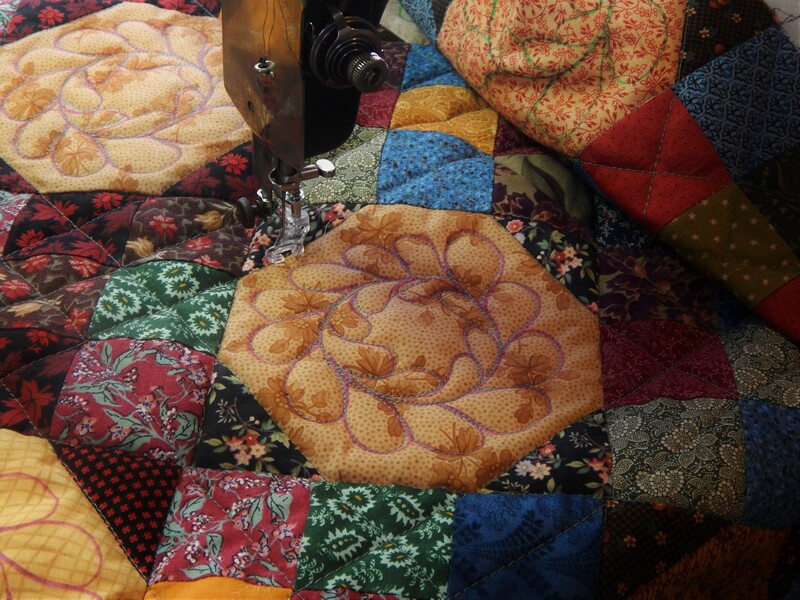 I LOVE this quilt and the quilting, looks amazing! Pinning it from inspiration!